Featuring farm to table and game recipes including rabbit, venison, pheasant and more. Also find savory appetizers, hearty soups and decadent deserts, to plan your meals perfectly from start to finish. For all those who appreciate fresh greens, Spring turns our attention to planting and soon harvesting the best salad ingredients. This simple and quick recipe from The Savory Grape in East Greenwich, Rhode Island, will hold us over until early sprouts push through tilled earth and tiny green blossoms bear sweet red fruits. It’s a great starter for dinner and this season. WINE PAIRINGS: Lulu Sauvignon Blanc, France. Pleasant melon, citrus and green apple aromas with a palate that shows soft touches of minerality and crispness in this beautiful French, non-pretentious Sauvignon Blanc. The minerality in the wine blends beautifully with the acid of the tomatoes! Can't wait for the warm weather. Purchase here. 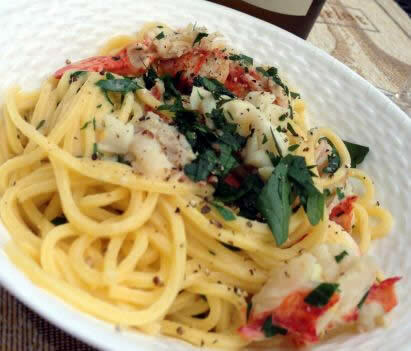 This Buttery Lobster with Linguini recipe, courtesy of The Savory Grape in East Greenwich, Rhode Island, is easily prepared decadence. Ingredients are simple, lush and local. Preparation time is minimal and a joy with a glass of Pinot Gris. Chunks of lobster tail crown a serving of kitchen made pasta, warm yellow butter slides everywhere, complementing such bright green parsley. Don’t spare the legs; there’s sweet meat in each and once cooked, will sit perfectly alongside body and claws. Our best advice? Close your eyes and add the butter. WINE PAIRINGS: Cave de Turskheim Pinot Gris. Enjoy this delicious Pinot Gris from Alsace, France with this buttery lobster dish. The roundness, creamy texture and medium rich fruit flavors of the wine dovetail well with the richness of the lobster! Purchase here. For outdoor enthusiasts who are passionate about all things culinary, the delicious result of a glorious Continental Hunt at The Preserve in Richmond, Rhode Island, is just as exciting as the hunt itself. A well-dressed pheasant or two – or more – roasted to perfection by Preserve Executive Chef, Tommy DelMastro Jr., that embodies all we love about farm-to-table cooking. 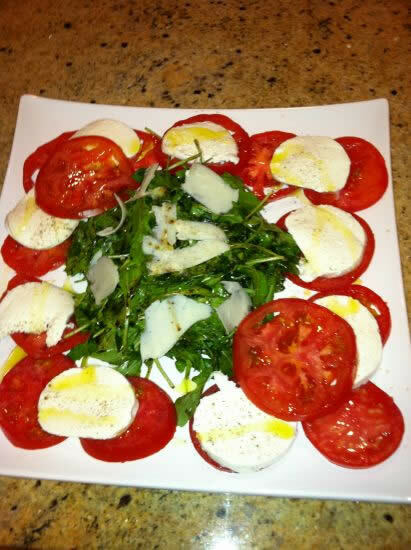 Chef Tommy’s recipe below is all about freshness and flavor and the rewards of the shooting life. 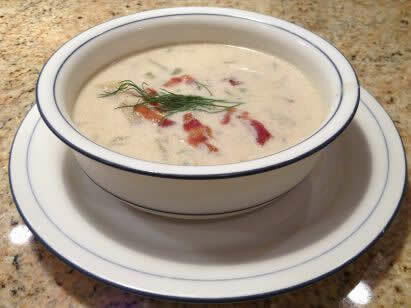 Few things warm us on a frigid winter day like the smells of homemade clam chowder steaming in a big pot. Sizzling bacon and chopped onions fill the kitchen air, a bucket of littlenecks reminds us of summer, digging for dinner on the flats and sandy shores. This recipe from the Savory Grape in East Greenwich, Rhode Island, brings all that and the anticipation of a steaming bowl to brush off the cold with a fine wine to match. This is a healthy, simple recipe best served with a big tear of heavy bread to ensure every last drop is cleaned from the bowl. 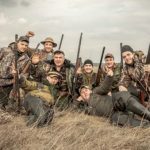 From the distant past when history was recorded in cave and rock paintings, to the era of the space shuttle, hunting societies have honored their prey by drawing nourishment from the animals taken. Today, that sacred tradition is carried forward with pheasant hunts at The Preserve. Immediately following one of The Preserve’s pheasant hunts, and in keeping with The Preserve’s farm-to-table philosophy, pheasants are delivered to the Members' Clubhouse and Executive Chef Tommy DelMastro Jr.. One of Chef's signature dishes – a members’ favorite – is pheasant pot pie, a deliciously hearty, creative variation on a familiar recipe. Participants in the wing shoot are served the delicacy that evening as part of The Preserve’s post pheasant hunt gourmet dining experience. Chef's recipe follows. And unless I miss my well-seasoned guess, you'll follow it to creation of a meal that will not soon be forgotten. Who could resist trying a recipe with such a great name (which is a translation of the Italian, pesce acqua pazza, or fish in crazy water)? What is truly crazy is how simple it is to make an intensely flavored, water-based poaching liquid for fish fillets. Water is the magic liquid that reveals and melds all the flavors. The dish originated from Neapolitan fishermen who would sauté the catch of the day in seawater together with tomatoes and extra virgin olive oil. The term most likely originated from Tuscany; Mezzadria peasants would make wine, but had to give most to the landlord, leaving little for them to drink. The peasants were resourceful, however, and mixed the stems, seeds, and pomace left over from the wine production with large quantities of water, brought it to a boil, then hermetically sealed the liquid in a terracotta vase and fermented it for several days. The result became known as acqua pazza, a water barely colored with wine and tomatoes. Acqua pazza became a very popular dish with tourists on Capri in the 1960s. Here at The Preserve, we are blessed with close proximity to striped bass-rich Narragansett Bay. We are all about locally sourced ingredients, and whenever possible we make use of indigenous fish species in recipes both traditional and innovative.